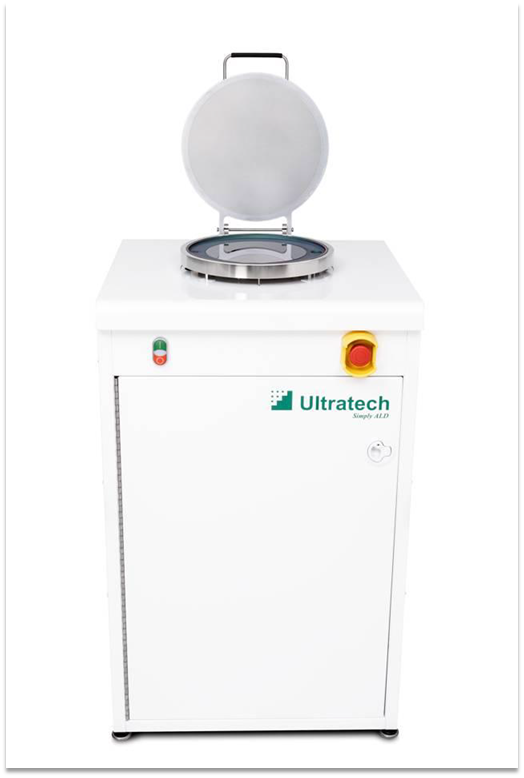 High productivity in multi-user, mixed process environment through rapid temperature ramping by direct conductive heating of the substrate platen. Minimal precursor consumption and short purge times through ultra-low volume of 430 cm^3. Simple precursor residency extension by hardware stop valve (ExposureMode™) for HAR or porous substrates up to 2000:1, or future flexibility with low temperature processes. Short learning curve and simple operation with no pressure balancing requirements. Robustness in multi‑user environment with inexperienced users through very short precursor tubing, (approx. 6cm from manual precursor valve to ALD valve) and reliable uniform heating of precursor paths. Precursors exchange in minutes by the user with minimal training or clean room supervision. Pre-conditioning of the precursor path (the manifold is a topological extension of the chamber) allowing option to precondition the total wetted route with a new solid surface which no-longer participates in the ALD process. (Not possible with single line delivery or delivery by two separate manifolds (precursor and oxidant separate manifolds). Experiment flexibility in multi-user environment through all precursor ports being capable of liquid, solid and gaseous precursors interchangeably. Minimal user learning curve or supervision requirements. Typically same day detailed response and continued dialogue. Access to fully detailed and qualified recipe sheets for the full Ultratech database. (As a starting point, system will be delivered with fully detailed recipes for aluminium oxide, hafnium oxide, silicon oxide and zirconium oxide.) Local UK maintenance support through Omni/IES Engineers.